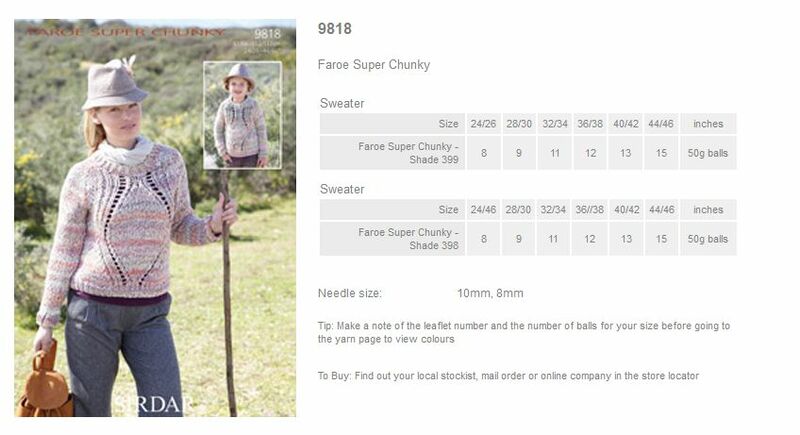 9818 - Sweaters using Faroe Super Chunky Leaflet with designs for Sweaters using Sirdar Faroe Super Chunky. 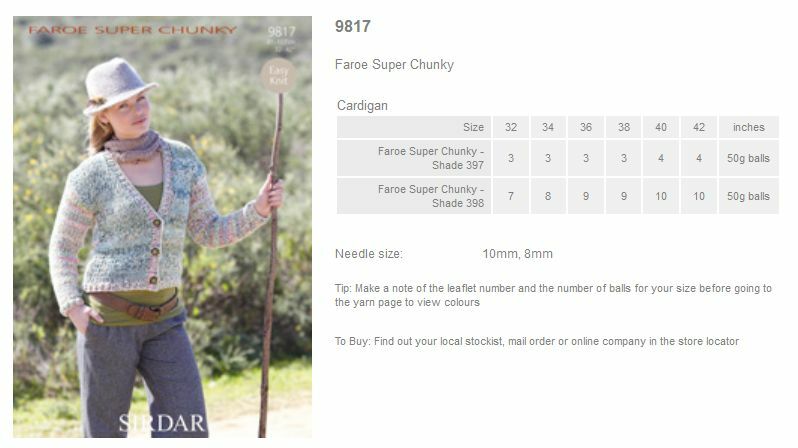 9817 - Cardigan using Faroe Super Chunky Leaflet with designs for a Cardigan using Sirdar Faroe Super Chunky. 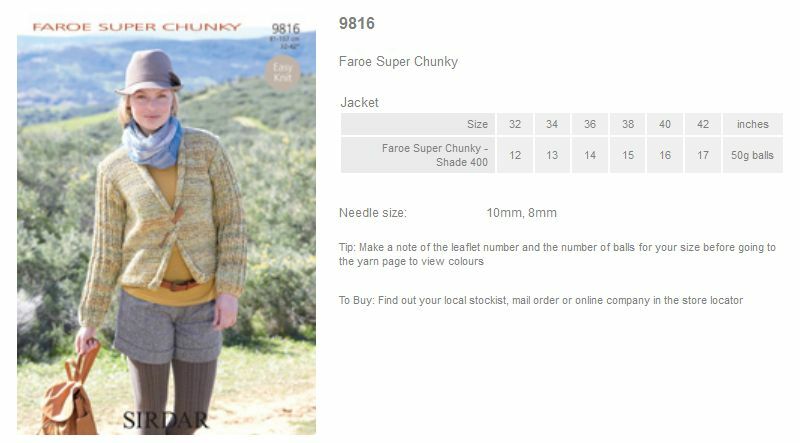 9816 - Jacket using Faroe Super Chunky Leaflet with designs for a Jacket using Sirdar Faroe Super Chunky. 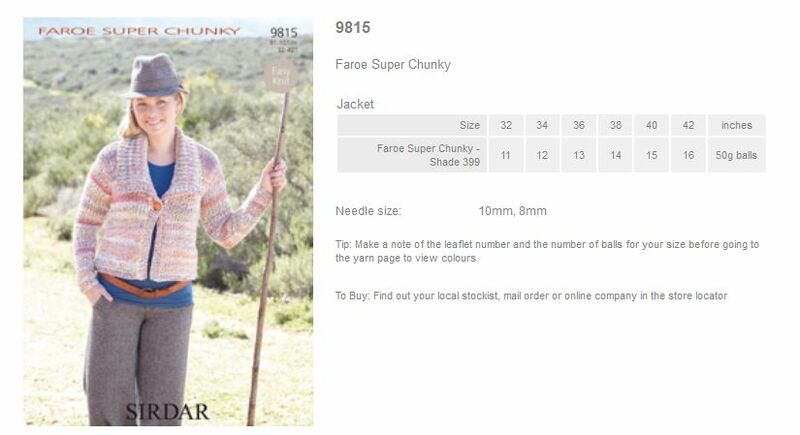 9815 - Jacket using Faroe Super Chunky Leaflet with designs for a Jacket using Sirdar Faroe Super Chunky.